Last month was National Home Security Month, with the final week focusing on securing your home at this time of year, when vandalism, damage and break-ins to your property are generally more likely. Around Halloween and Bonfire Night, as the nights get darker, properties, particularly those that are vacant, are even more vulnerable. However, at SPS, we understand that void property intrusions come in many guises. While both feature water damage, last year’s story was accidental while today’s story was the result of a break-in. 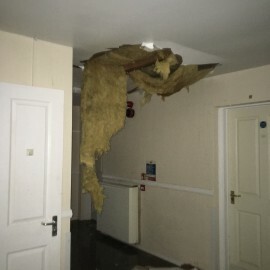 Our team were recently called out to a property where intruders had broken in and burst the water pipe, leaving substantial water damage. Our job was to arrange an emergency repair of the water pipe, determine and offer a solution to any long-term damage and re-secure the property. This property was one of two bungalows and while the intruders broke the window of this property, they also broke the fence/gate of the neighbouring property. 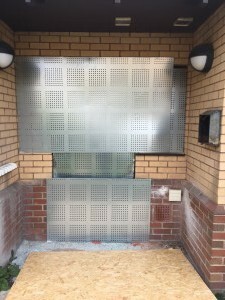 SPS were able to liaise with the owner and arrange not only the repairs but also the installation of SPS Steel Security to re-secure both properties. 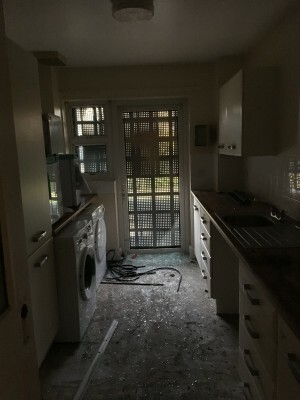 It is important to remember that vacant properties, for example, long-term investments for rental, holiday homes or buildings under construction, both residential or commercial are all very vulnerable to break-ins and while you may not lose possessions, your property may lose value if the damage is substantial enough. Considering long-term security solutions, which are reliable will help to reduce the likelihood of this happening. The security measures you require will depend on your specific property, with consideration for factors such as the size and purpose of the building. Our team scheduled a follow up inspection of the above property the following week, meeting the insurance requirements of the client. For more information on the various products and services we can provide to secure your vacant property, contact us to discuss how we can help, on 08457 62 65 42, sales@spsdoorguard.com, or via our Contact Us page on the menu bar. We look forward to hearing from you.